R&G Racing Front Axle Sliders aid in reducing damage to the front forks, brake calipers and brake discs in the event of a crash by keeping these core components off the tarmac and out of harm's way! Each kit is tailored to each bike's specific axle length and diameter. The sliders are machined from the same High Density Polyethylene (HDPE) used in R&G's frame sliders. As the HDPE slider wears down in a slide/crash, its high friction qualities help reduce the bike's speed. Note: Image for reference only. 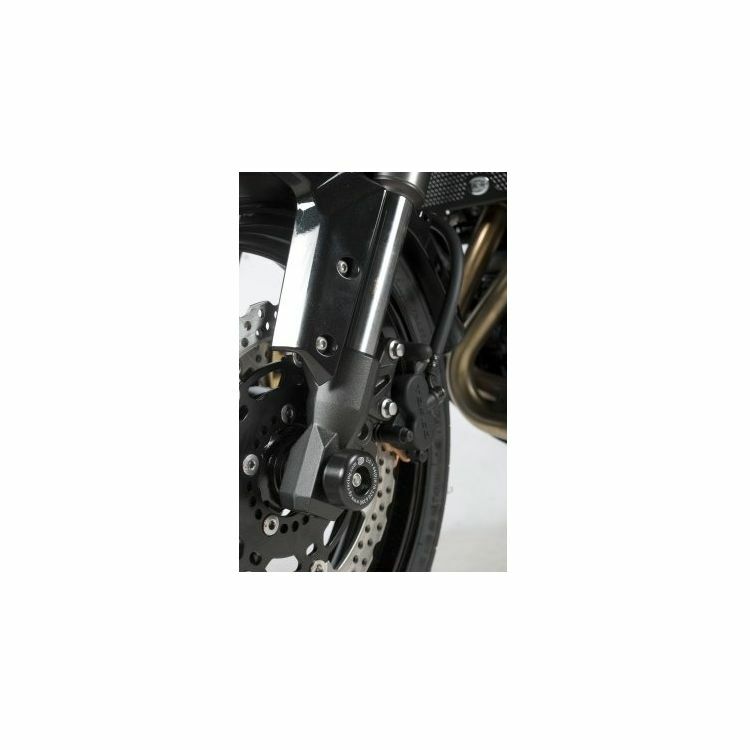 R&G Racing Front Axle Sliders may vary slightly depending on your bike's make and model. Just for protection and looks.